Ice and get off the couch! Does time not allow you to ice your sore back? ICCE Back Recovery allow you to stay on top of your pain and keep up with the work that needs to be done. Our shirt is designed for the active busy person. 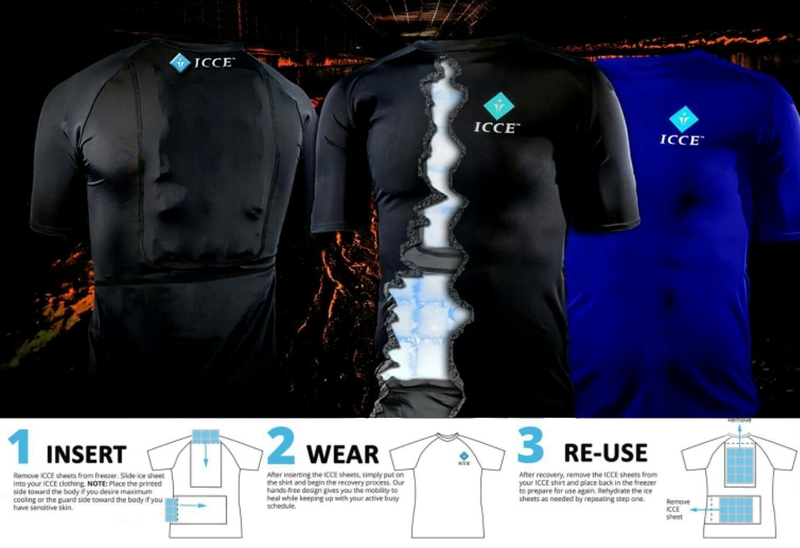 Activate our long lasting ice packs, insert, wear and re-use.